It was a tale of two sides on Sunday. The Baltimore Ravens offense struggled in a sloppy performance, while the defense dominated. 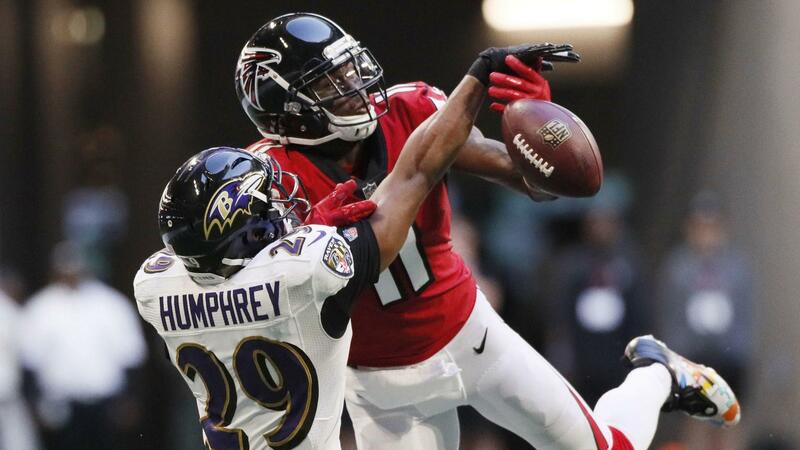 The matchup was expected to produce a close game, but the Ravens had the opportunity to blow by the Falcons. Instead, offensive opportunities were squandered, and the defense was tasked with cleaning up the mess that the offense created. It was one of the most frustrating performances by an offense to watch in recent memory. While the offense continually failed to capitalize, the defense did anything but. Baltimore’s defense played in an outstanding manner. The unit shut down the Falcons’ offense, loaded with weapons. The two sides of the ball played like polar opposites on Sunday, but through a victory, the Ravens proved that a house divided can stand. The Ravens offense was marred by inefficiency, ineffectiveness, and ineptitude. The game started well with a long drive capped off by a Lamar Jackson touchdown. But after that first drive, the Baltimore Ravens would fail to score another offensive touchdown. Instead, the Ravens had to settle for not one, not two, not three, but four field goals. The Ravens consistently moved the ball into enemy territory but failed to capitalize on the movement. If the Ravens were able to convert just half of the field goals into touchdowns, the offensive scoring would spike from 19 to 27. The offense often failed to sustain drives because of the not one, not two, not three, but four fumbles. One fumble fell from the hands of running back Kenneth Dixon, the other three came from mistakes by Lamar Jackson. Only one fumble was lost, (it was returned for a touchdown) but the loss of yards and momentum crippled the Ravens offense. While the Ravens offense failed to capitalize on opportunities for the entire game, there is no denying the unit dominated in time of possession. Baltimore held the ball for 39:39, in contrast to Atlanta’s 20:21. The reason for such dominance was twofold. The first and most notable reason was the offensive insistence to run. Baltimore dominated on the ground, as the Ravens gained 207 yards total by pounding the rock. This kept the clock moving, and the dominance of the attack made it difficult for the Falcons to stop it. The second contributor to this feat is the Ravens defense. Baltimore’s defense kept the Falcons to under 150 yards for the entire game. The secondary impressively batted down pass after pass to elite receivers. The unit’s production ensured that the Falcons would be forced to give the ball back to the Ravens quickly, who would continue to drain the clock. This cycle continued throughout the game. The Ravens defense ultimately won the game for the Ravens. Baltimore’s inability to score more than 19 points on offense came as a result of failure to convert opportunities into points. The time of possession helped the Ravens win the game, as it gave the defense time to rest, and kept the ball out of the hands of Atlanta. Without a dominant defense, however, this strategy would not have worked. If the defense did stop Atlanta from moving the ball and did not come up with the late scoop and score touchdown, the game could have spiraled out of control for the Ravens. The formula works for now, but once it is time for the Ravens to face an offense that poses a real threat, Baltimore will need to capitalize on offensive opportunities to stay competitive.